This is the Pro-Line Track Bag with Tool Holder. 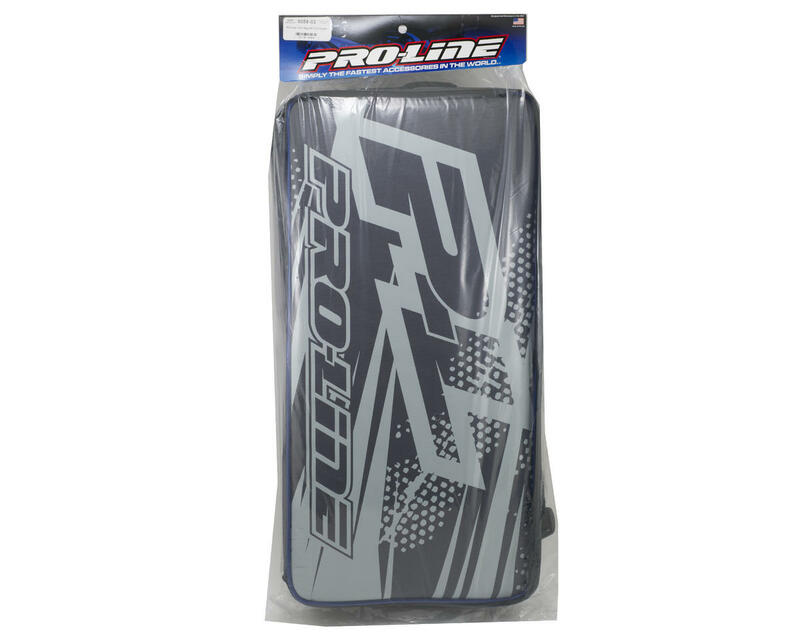 This bag features luggage quality zippers and material that displays your support for Pro-Line with a huge P-L logo. The bag is supported by an inner corrugated plastic housing that protects your gear and holds the bag's shape. This multipurpose bag will hold a bunch of tires, tools, chargers, batteries or basically anything you need to take with you to the track, all while remaining small enough to easily fit in the trunk of your car. The Track Bag features a 13-slot Tool Pouch and 3 see-through mesh pouches to hold additional tools, glue or hardware that you need while at the track. Plus, Pro-Line’s Track Bag has an adjustable shoulder strap for easy transport and a zipper top for easy access to your stuff. The track bag is larger than Pro-Line’s Tire Bag and measures 23” x 11” x 8”. 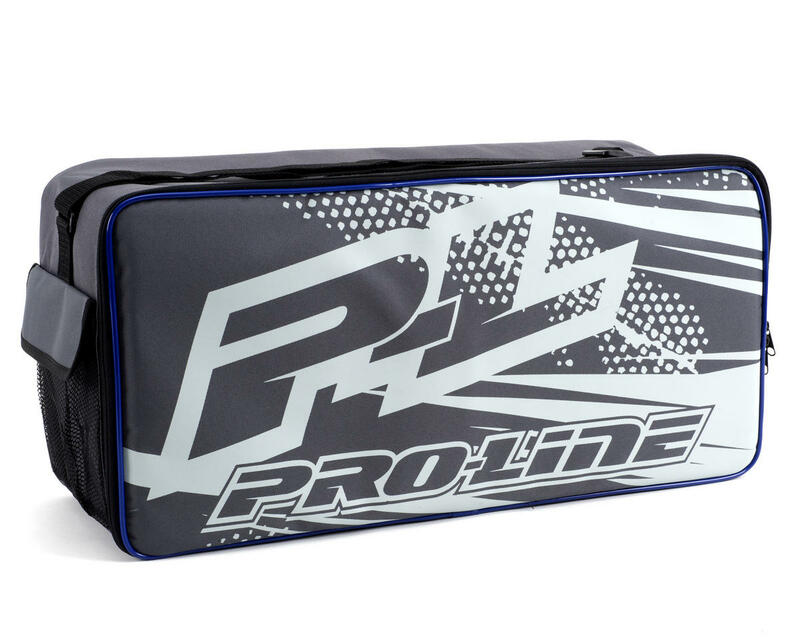 Pro-Line’s Track Bag is a must have addition to any Pro-Line enthusiasts race program. Great bag. The sleeve inside keeps your bag dry if you have wet or dirty tires. Large enough to carry a 1/10 buggy if you wanted to. The zipper and material are great, no issues there. This is a great bag if you are looking for something to add to your carrying demands. Not too expensive and holds a lot of stuff. Could use this for clothes if you are traveling or going on a long trip to race. Doesn't have to be used just for tires, I put my tire stack tubes on it along with a table fan, power strip, car stand and multiple towels. I put my tire sauce in the mesh pocket on the side. And the tool pouch with the straps, will hold most drivers, I use it to hold my brushes for tire cleaning. This bag was bought as a gift for me a few months ago. It is perfect as a hauler bag for my scx10 ii Cherokee. It is also the perfect size to use as a carry-on for my airline trips. Absolutely LOVE it.